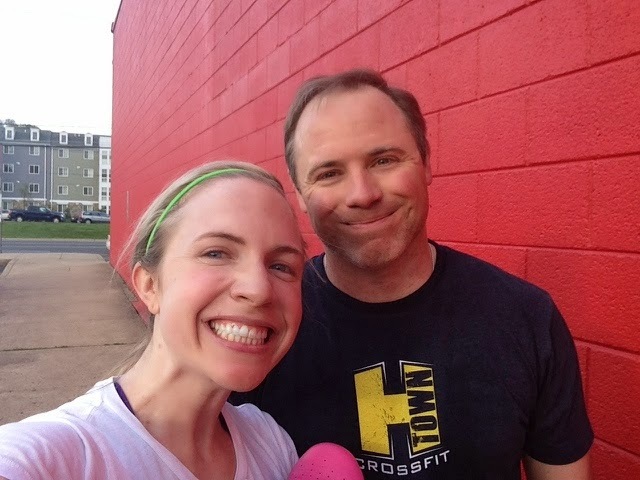 Our weekend got started with a late afternoon WOD. After a few minor injuries, Josh and I are recommitted to getting our CF on and there is nothing like a little sweat session to get your weekend started off right. That night we made my Peruvian Chicken...we were going to smoke it on the pit but had a grease fire mild setback and finished it in the oven. It was perfect. Honestly! Try this recipe! The next morning we got off to a bit of a later start. 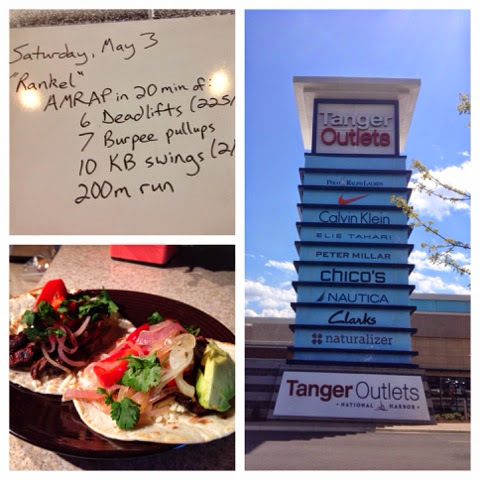 After a Hero WOD (which was brutal), we had a quick breakfast and then went to check out the new Tanger Outlets at National Harbor. They are AMAZING. The layout of place is great. Everything is in walking distance and covered with canopies which makes for a very pleasant shopping experience. (In Texas the outlets are so big that you have to walk like a mile to get to and from stores. Ugh) Plus they have stores that I didn't even know had outlet versions like Halston Heritage and my personal fave, DVF. Honestly, I will never shop at a normal JCrew again. That night Josh grilled steak fajitas and we watched the Derby. I was cheering on my namesake "Vicars in Trouble" but sadly he came in last. 2. if possible, something that I have never done. 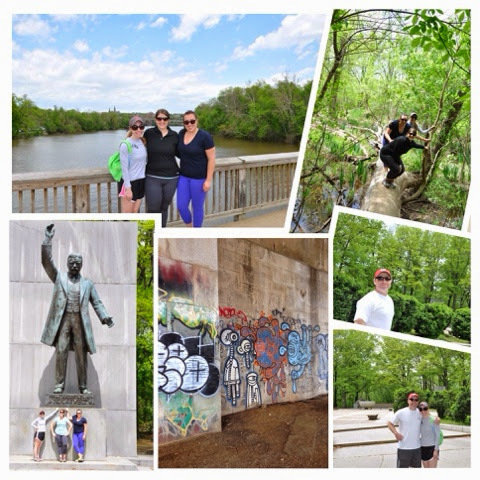 This weekend Teddy Roosevelt Island was on the list. It was a gorgeous day so a lot of people had the same idea. Josh dropped us girls off and went to find parking. While he was gone we decided to take the path least traveled and ended up getting separated from him for about an hour. After passing through some sketchy woods, a marsh and admiring some incredible graffiti, we rendezvoused with Josh at the TR Statue. I felt like I was in the arena of the Hunger Games! Talk about a win! If you haven't yet made it over to TR Island, I highly suggest it. Truly a hidden gem in the city! The rest of the day was spent napping, doing laundry, and organizing. The icing on the perfect weekend's cake was watching Game of Thrones! Do you have a hidden gem in the city? If you need a Perfect Margarita recipe click here! I so wish I could cook like you. It always looks so delicious! 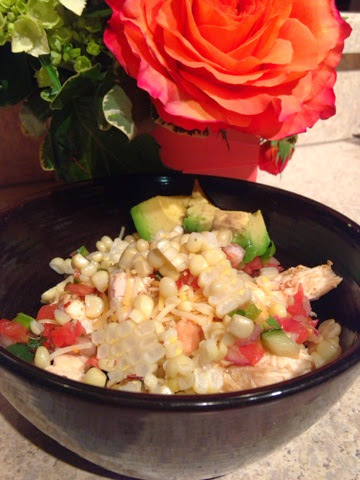 That recipe is super easy and perfect for summer!